Home→Dancing Under the Stars and Cars Star Tonight at Court Street. 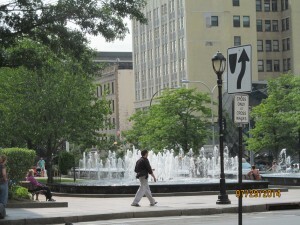 The Fountain Dances Again! ← Car Thefts from Unlocked Cars Cropping Up in the City. The City of White Plains will present a special mid-summer program tonight during its Dancing Under the Stars concert series. On Wednesday, from 7 pm to 9 pm, Desert Highway will perform a tribute to the Eagles. The concert will be complimented with a classic car show. The concert and car show will be held on Court Street between Martine Avenue and Main Street, near the (suddenly revived over last weekend) “dancing waters” of the long dry Renaissance Square Fountain that the city has spent several months repairing. 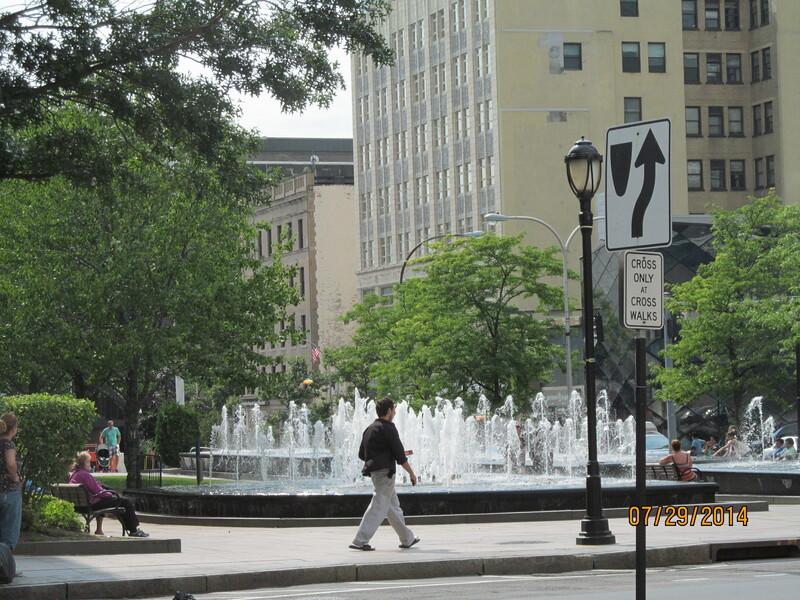 The fountain has been out of action for all of the spring and summer due to leaks and repairs conducted at a snail’s pace by the city, with no official explanation for the delay. It will be good to see the fountain fonts frolicking again in the summer twilight, as they were yesterday in the summer sun. For additional information call (914) 422-1339.